Uhh, my penchant for animal print! These makeups from Famous Cosmetics are really pretty, don't you agree? I was so delighted to receive these little lovelies. I know, their packaging is gorgeous and to die for! Roarrr! "Don't just sink into a crowd of boring girls with the same makeup; stand out like a zebra with the amazing all-you-could-ever-want (and more) from a palette in The Zebra by Famous." 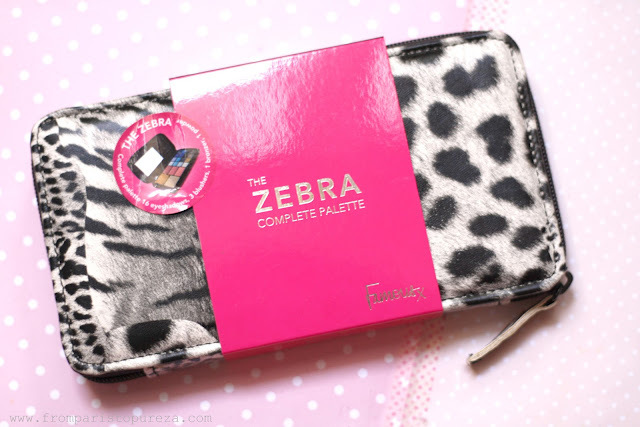 and the Zebra Complete Palette (£11.99 / 13,96 euros). This Zebra complete palette includes 16 shades of eyeshadow, pressed powder, 3 blushers and a bronzer - everything you need is in one palette. It comes with a few applicators and a huge mirror! The pigmentation of the eyeshadow is pretty ok. 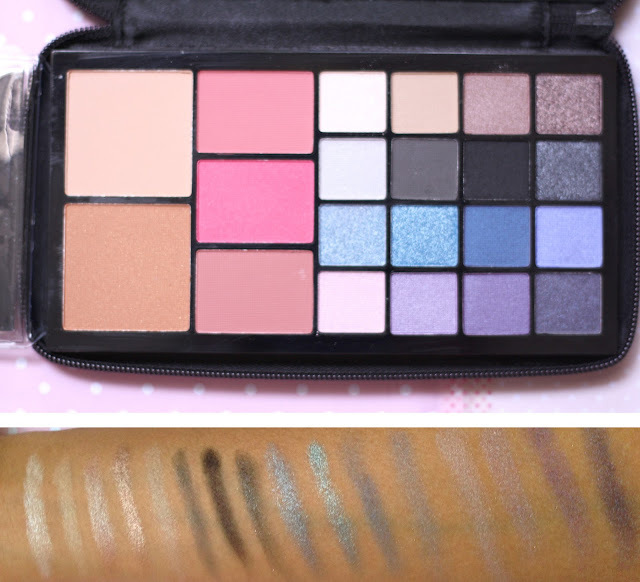 I prefer matte makeup but I like the metallic shades of this palette, they are lovely. The First Date Blusher (£4.99 / 5,81 euros) in Charlize - Blushers are available in 5 lovely shades, Charlize is a bright pink. It is super pigmented and just to avoid excessively rosy cheeks, I really need to tap the brush to remove excess powder. But then, I love this blusher and I'll be including it in my favorite beauty items. The No Shine Powder (£4.99 / 5,81 euros) in Saturday Night - "Banish unsightly shine with this perfect shine minimising powder." It is honestly too light for my skin color. It is available in 4 shades, I will probably purchase a darker shade while they are on sale - half price baby! Define the Line (£3.99 / 4,65 euros) in Unleashed and Smoke Screen. 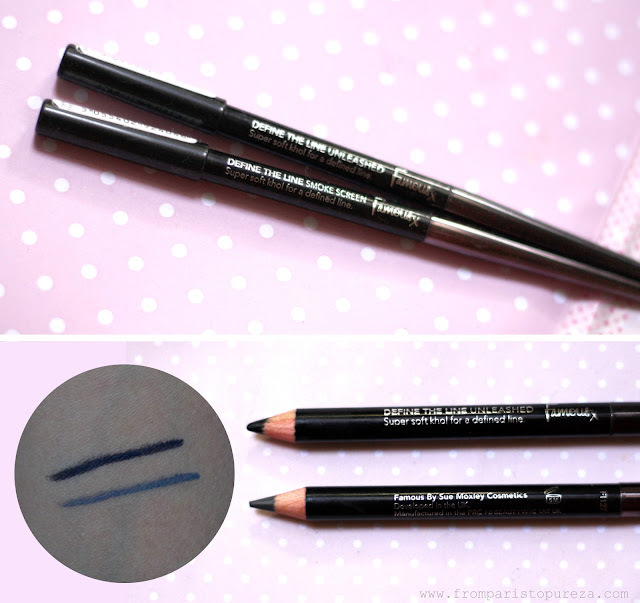 It's a super soft kohl liner to give a precise and defined line, available in 6 shades. This may tend to smudge and to crease, so I suggest to put a primer on your lids before lining it. Have you tried any products from Famous Cosmetics? I want to get their Baked Bronzer and Shining Star Shimmer Brick!